"On these streets, all you have is the guy next to you." Lionsgate has released an official trailer for an indie crime action-drama titled Blood Brother, the latest film from writer/director John Pogue (Quarantine 2: Terminal and The Quiet Ones). Not to be confused with the award-winning documentary from a few years ago also titled Blood Brother, this film is about an ex-con who takes murderous revenge against childhood friends whom he believes let him take the fall for a crime they committed together. One of the friends, now a cop, risks his life to stop him. 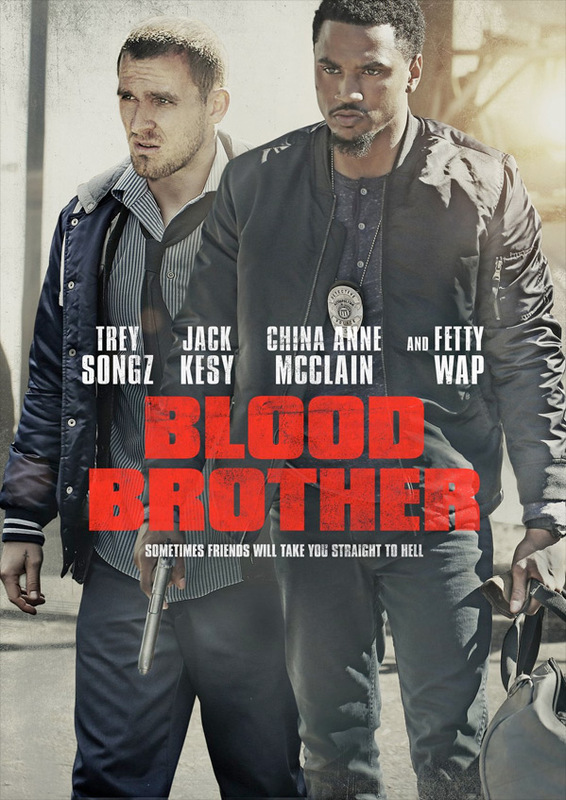 Blood Brother stars music artist Trey Songz, along with Jack Kesy, China Anne McClain, Hassan Johnson, Tanee McCall, and Fetty Wap. These kind of crime+action+friends movies are becoming a dime a dozen nowadays, and none of them really seem they're worth anyone's time. Blood Brother takes place on the mean streets of a city in decay, where a recently released convict begins to take murderous revenge against his childhood friends, whom he believes let him take the fall for a crime they collectively committed. As bodies start piling up, one of the friends, now a cop, will stop at nothing to put an end to the murderous rampage and to right the many wrongs of their tragically violent past. Blood Brother is directed by American screenwriter / filmmaker John Pogue, director of the films Quarantine 2: Terminal and The Quiet Ones previously. The script is written by Michael Finch, Karl Gajdusek, and Charles Murray. Lionsgate will debut Blood Brother in select theaters + on VOD starting November 30th this fall.